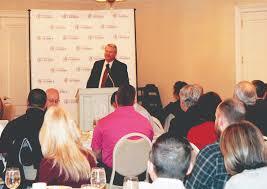 The Opelika Chamber of Commerce held their quarterly Business over Breakfast meeting last Thursday morning. Chamber President Pam Powers-Smith introduced Antoine Harvis who led an invocation and the Pledge of Allegiance. Brooke Kastner then introduced the guest speaker, Opelika City Schools Superintendent Dr. Mark Neighbors. Neighbors has been working in the Opelika school system since 1991 when he began his career in Opelika as principal of Opelika Middle School, a position he served in for 10 years. He became superintendent in 2007. The budget for the current school year is about $55 million with approximately 41 percent of that coming from local sources. The budget lists $12 million dollars in the reserve account, some of which is held in trusts, scholarship accounts and so forth, leaving approximately $10 – $11 million as cash reserves. • does it improve the quality of life of the children? The Teachers of the Year will be recognized at the next city council meeting on Feb. 5. 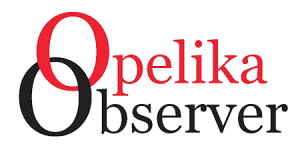 Opelika High School students surpassed the state average for all three of the benchmarks (English, math and science) for the ACT. “We teach standards to children, we teach a curriculum to children. We do not teach to a test. That does not prepare children for life,” Neighbors asserted. Opelika started offering Advanced Placement classes around 14 years ago according to Neighbors. The school system offers a wide range of AP classes including AP Art. In May 2018, 51 percent of students that sat for AP exams scored a 3 or higher compared to the state average of only 43 percent. AP exam scores of 3 or higher may earn students college credits depending on the institution’s individual policy on the program. The number of students that are taking AP classes has increased over the years with 227 out of roughly 1350 students at the high school taking the advanced classes in 2018. Neighbors spoke on the Career Tech Program and the importance on teaching the children that they can have opportunities in industries to have careers, not just jobs. Classroom support is an area of great focus with OCS. When the state cut funding for the reading coaches, Opelika, with the support of local revenues, was able to keep this program in place by making them instructional coaches. Every school has them. These individuals work with the teachers to work with the new teachers in order to help them be successful. They help with curriculum development, instructional planning and professional development. In closing, Neighbors briefly touched on some of the challenges that school systems across the nation are facing with teacher shortages and mental health issues being the two biggest. The presenting sponsor of the event was Glynn-Smith Chevrolet, Buick-GMC.